No touring bike on the road makes a journey more effortless. Built exclusively to meet the demands of both rider and road, this machine delivers luxury touring down to the smallest detail. 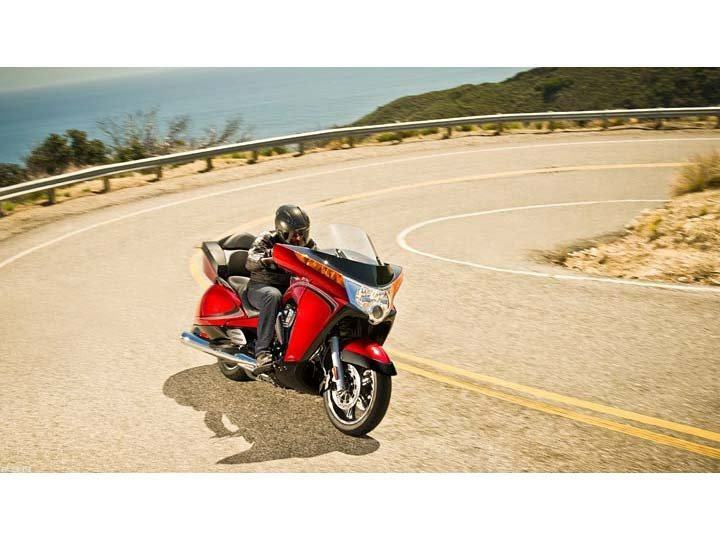 Whether you're gripping the handlebars or cruising down the highway as a passenger, all it takes is one ride to feel what no other touring bike can deliver. The Victory® Freedom® 106/6 V-Twin is a 106 ci powerplant that delivers 108 ft. lbs. of torque for smooth, powerful, confident touring. 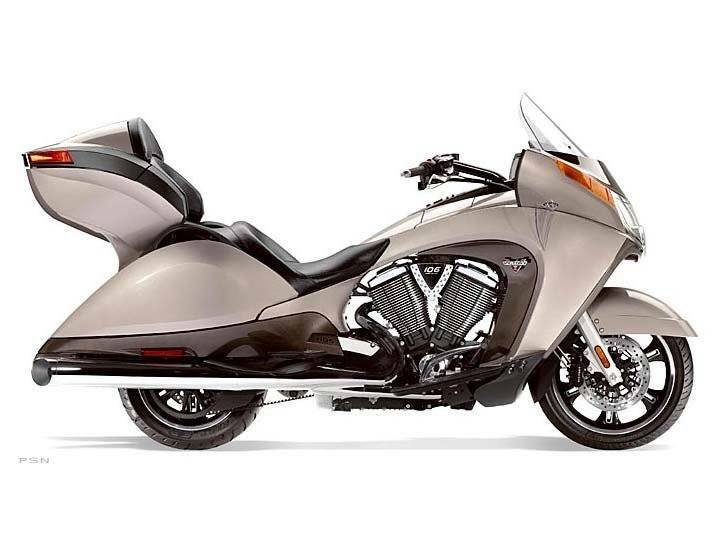 It’s a counter-balanced, fuel-injected engine that delivers impressive performance for touring riders who like to lead, not follow. Extend the riding season with the heated handgrips and heated seats. The driver has Hi and Lo settings on the hand controls to ward off the chill, and the seats provide the driver and passenger with individual Hi / Lo controls. Add a month or more on both ends of the riding season with the flip of a switch.